Three malnourished female saltwater crocodiles were left inside a rural school in Australia's Northern Territory on Sunday morning. The intruders smashed their way into Taminmin High School's front office, about 30km south of Darwin, leaving the unexpected packages ranging in size from 1.5 to 2m. Alarms alerted the school caretaker who called police at about 5am. The crocodiles were muzzled with garden ties. Wildlife officers said the crocodiles were in reasonable health but malnourished. Police Duty Superintendent Rob Burgoyne said forensics were examining evidence including CCTV footage, which showed four males unlawfully entering the school. 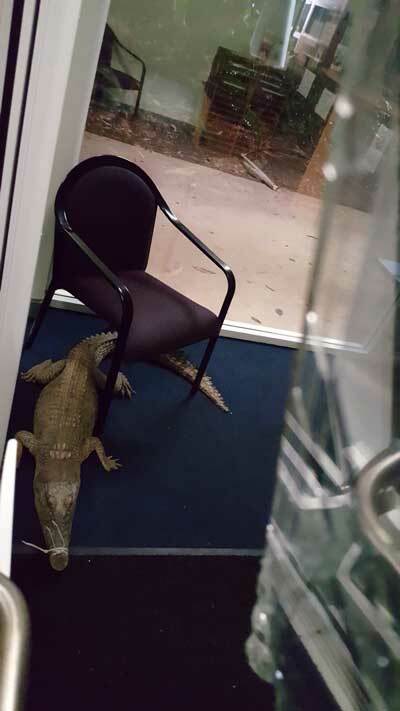 Anyone with information about the croc dumping is urged to contact police.